High windows and walls, whispering silence, welcoming light – we have arrived. Our journey takes us over the motorway, through the suburbs of Tilburg, deeper and deeper into Brabant’s countryside. Under a viaduct we go, over a small bridge, along a country road, through the convent gate. Across garden paths, via long tiled corridors, we eventually enter the heart of the Saint Joseph Chapel, the sacred space where the life of prayer of the Trappist monks of the abbey of Koningshoeven runs its course. On the wooden floor, polished by generations of devout feet, lies a labyrinth of chamomile and bedstraw, picked by hand, carefully arranged in curving ledges and lines. The labyrinth symbolizes the road the pilgrim must travel. In medieval devotion it was an instrument of meditation and prayer. The distance to the centre seems short, but the path towards it is full of bends and turns. At one moment we may be close to the heart of the maze, then again we move away from it. Our eventual arrival is certain, if only we persevere. But we need this process of detours to strengthen our faith in our life’s goal and deepen our commitment. We do not get discouraged when we see that close to the end we are given yet another length to cover, but trust that this extra stretch will also bring us extra grace. The fragrance of the herbs is strong and earthy – the scent of verges and fields in summertime. Yet the elusiveness of that scent is a symbol for the invisible that is absolutely, inescapably, present. The location for this work is well chosen. The installation would not have worked as well in a business or museum environment. But here it enters into a dialogue with the surrounding Saint Joseph Chapel: travelling through the labyrinth, roaming through life, the pilgrims may know heaven close, their path part of a universe created and directed by God. 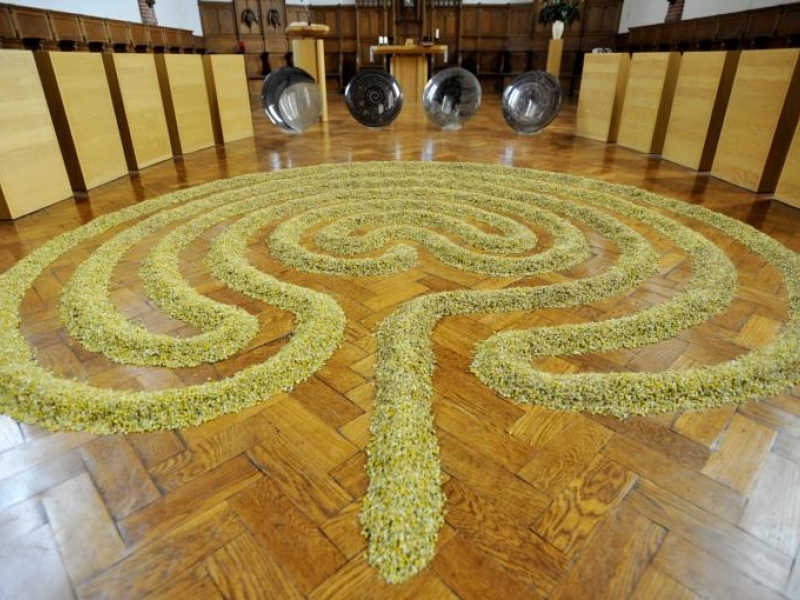 Claudy Jongstra: Labyrinth of Herbs, 2012, chamomile and bedstraw. In 2012 this installation was part of the exhibition Pilgrimage in the Abbey Koningshoeven in Berkel-Enschot, the Netherlands. The exhibition consisted of works by Marc Mulders and Claudy Jongstra . 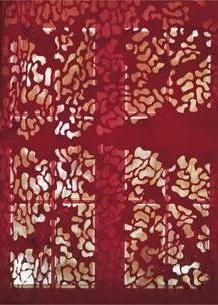 Claudy Jongstra (1963) is a Dutch artist, who creates tapestries and large-scale textile art installations. The beauty of nature, raw materials and the exploration of crafts such as spinning, carding and weaving constantly inspire and help Jongstra bring a sense of beauty and belonging to public spaces. She works together with architects and clients around the world to create unique and tactile pieces. Claudy Jongstra and her team maintain control over the whole process from raw materials to tapestries. 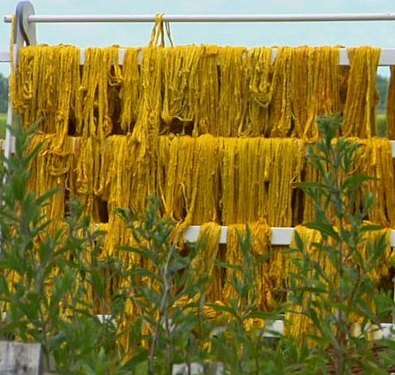 Committed to the value chain of creation, they raise their own sheep, keep bees, cultivate a botanical garden and grow their own plants for dyes. They leave no waste, respect nature and exemplify their philosophical values of utilizing local resources and traditional skills. Claudy Jongstra’s oeuvre is founded on ethical values. Her work and life are inspired by stewardship, the promotion of bio-diversity and the preservation of a natural and cultural heritage. She constantly explores how to create a softer, more human atmosphere. 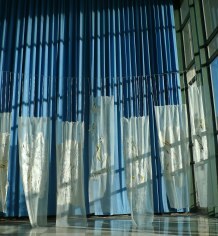 In 2011 Jongstra showed her pieces at the headquarters of the United Nations in New York and at the World Economic Forum in Davos in 2012. Her work is included in the collections of the Victoria & Albert Museum in London, the Stedelijk Museum in Amsterdam, the Museum of Modern Art New York. For more about her work, also for videos in which she tells about her holistic view of life (with English subtitles), see www.claudyjongstra.com.